MicroStar Keg Management provides a keg management system that allows breweries to maximize profitability and expand their markets. MicroStar provides state-of-the-art Sankey kegs in the quantities required to meet each of its clients’ needs. If a brewery already owns their kegs, MicroStar will offer to purchase their Sankey kegs. MicroStar works with more than 1,600 beer wholesalers in all 50 states and even Europe. That means Microstar is paying for any repairs and maintenance. Its system eliminates the need for keg investment and pays all return empty keg freight. The net effective usage rate (per fill) charged by MicroStar is dependent upon the distance the keg is shipped for sale. MicroStar notes on its website that its able to provide lower net effective rates for keg usage in local and regional markets because they are consumed more quickly and obviously hold a reduced freight cost. But wait, there is more. 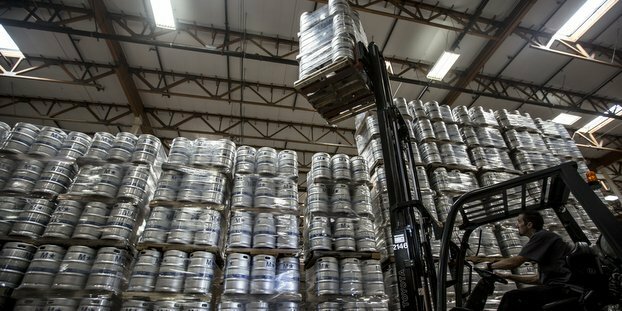 The founders of MicroStar Keg Management have combined with a third-party logistics provider, FitzMark Inc., to offer a new keg ownership option to the craft brewer: KEG LOGISTICS. KEG LOGISTICS works together with craft brewers to rent new kegs and perform additional services for the brewery. If the brewery chooses, the company will ship full product, return empty kegs from distributors and deliver dry goods. They also team with distributors who arrange their own freight. KEG LOGISTICS’ monthly rates decrease by the length of the agreement and any increases in volume. For more detailed information reach out to the company at the following link: contact MicroStar.